I take the liberty of suggesting that you read a speech given yesterday by Israeli prime minister Benjamin Netanyahu to the U.N. General Assembly. 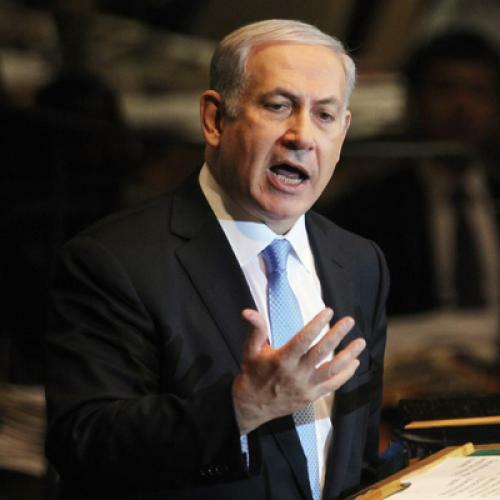 Netanyahu has been unlucky in the treatment of his remarks for a quarter century. He has been even more unlucky in the treatment of his offers to the Palestinian people to start the peace process which they, alas, have refused to do. An article by Neil MacFarquhar and Steven Lee Myers in the Times projects Dame Catherine Ashton, the “foreign minister” of the European Union, as the leading light in the diplomacy of Europe towards Israel/Palestine. Maybe she is. In which case, it is a tragedy. All over Europe she is known to be simply stupid. In any case, given its own current economic and political crisis, Europe possesses just about zero credit to spearhead a settlement to what is now a hundred-year conflict. Russia, which is another party to the “quartet,” is still an imperial power in Europe and Asia. Its only influence among the Arabs is Syria. The U.N. is ... well, the U.N. The only power with lingering credentials is the United States. I hope President Obama reads this speech and reads it closely. I hope you do, too. Ladies and gentlemen, in Israel our hope for peace never wanes. Our scientists, doctors, innovators, apply their genius to improve the world of tomorrow. Our artists, our writers, enrich the heritage of humanity. Now, I know that this is not exactly the image of Israel that is often portrayed in this hall. After all, it was here in 1975 that the age-old yearning of my people to restore our national life in our ancient biblical homeland—it was then that this was braided—branded, rather—shamefully, as racism. And it was here in 1980, right here, that the historic peace agreement between Israel and Egypt wasn’t praised; it was denounced! And it’s here year after year that Israel is unjustly singled out for condemnation. It’s singled out for condemnation more often than all the nations of the world combined. Twenty-one out of the 27 General Assembly resolutions condemn Israel—the one true democracy in the Middle East. Well, this is an unfortunate part of the U.N. institution. It’s the—the theater of the absurd. It doesn’t only cast Israel as the villain; it often casts real villains in leading roles: Gadhafi’s Libya chaired the U.N. Commission on Human Rights; Saddam’s Iraq headed the U.N. Committee on Disarmament. You might say: That’s the past. Well, here’s what’s happening now—right now, today. Hezbollah-controlled Lebanon now presides over the U.N. Security Council. This means, in effect, that a terror organization presides over the body entrusted with guaranteeing the world’s security. So here in the U.N., automatic majorities can decide anything. They can decide that the sun sets in the west or rises in the west. I think the first has already been pre-ordained. But they can also decide—they have decided that the Western Wall in Jerusalem, Judaism’s holiest place, is occupied Palestinian territory. And yet even here in the General Assembly, the truth can sometimes break through. In 1984 when I was appointed Israel’s ambassador to the United Nations, I visited the great rabbi of Lubavich. He said to me—and ladies and gentlemen, I don’t want any of you to be offended because from personal experience of serving here, I know there are many honorable men and women, many capable and decent people serving their nations here. But here’s what the rebbe said to me. He said to me, you’ll be serving in a house of many lies. And then he said, remember that even in the darkest place, the light of a single candle can be seen far and wide. Today I hope that the light of truth will shine, if only for a few minutes, in a hall that for too long has been a place of darkness for my country. So as Israel’s prime minister, I didn’t come here to win applause. I came here to speak the truth. The truth is—the truth is that Israel wants peace. The truth is that I want peace. The truth is that in the Middle East at all times, but especially during these turbulent days, peace must be anchored in security. The truth is that we cannot achieve peace through U.N. resolutions, but only through direct negotiations between the parties. The truth is that so far the Palestinians have refused to negotiate. The truth is that Israel wants peace with a Palestinian state, but the Palestinians want a state without peace. And the truth is you shouldn’t let that happen. Since 9/11, militant Islamists slaughtered countless other innocents—in London and Madrid, in Baghdad and Mumbai, in Tel Aviv and Jerusalem, in every part of Israel. I believe that the greatest danger facing our world is that this fanaticism will arm itself with nuclear weapons. And this is precisely what Iran is trying to do. Can you imagine that man who ranted here yesterday—can you imagine him armed with nuclear weapons? The international community must stop Iran before it’s too late. If Iran is not stopped, we will all face the specter of nuclear terrorism, and the Arab Spring could soon become an Iranian winter. That would be a tragedy. Millions of Arabs have taken to the streets to replace tyranny with liberty, and no one would benefit more than Israel if those committed to freedom and peace would prevail. Now, some argue that the spread of militant Islam, especially in these turbulent times—if you want to slow it down, they argue, Israel must hurry to make concessions, to make territorial compromises. And this theory sounds simple. Basically it goes like this: Leave the territory, and peace will be advanced. The moderates will be strengthened, the radicals will be kept at bay. And don’t worry about the pesky details of how Israel will actually defend itself; international troops will do the job. Hezbollah and Hamas fired thousands of rockets against our cities from the very territories we vacated. See, when Israel left Lebanon and Gaza, the moderates didn’t defeat the radicals, the moderates were devoured by the radicals. And I regret to say that international troops like UNIFIL in Lebanon and UBAM in Gaza didn’t stop the radicals from attacking Israel. And I don’t think people remember how far we went to achieve this. We uprooted thousands of people from their homes. We pulled children out of—out of their schools and their kindergartens. We bulldozed synagogues. We even—we even moved loved ones from their graves. And then, having done all that, we gave the keys of Gaza to President Abbas. But ladies and gentlemen, we didn’t get peace. We got war. We got Iran, which through its proxy Hamas promptly kicked out the Palestinian Authority. The Palestinian Authority collapsed in a day—in one day. So I want to ask you: Would any of you—would any of you bring danger so close to your cities, to your families? Would you act so recklessly with the lives of your citizens? Israel is prepared to have a Palestinian state in the West Bank, but we’re not prepared to have another Gaza there. And that’s why we need to have real security arrangements, which the Palestinians simply refuse to negotiate with us. Israelis remember the bitter lessons of Gaza. Many of Israel’s critics ignore them. They irresponsibly advise Israel to go down this same perilous path again. Your read what these people say and it’s as if nothing happened—just repeating the same advice, the same formulas as though none of this happened. So how do you—how do you protect such a tiny country, surrounded by people sworn to its destruction and armed to the teeth by Iran? Obviously you can’t defend it from within that narrow space alone. Israel needs greater strategic depth, and that’s exactly why Security Council Resolution 242 didn’t require Israel to leave all the territories it captured in the Six-Day War. It talked about withdrawal from territories, to secure and defensible boundaries. And to defend itself, Israel must therefore maintain a long-term Israeli military presence in critical strategic areas in the West Bank. They haven’t given even one Red Cross visit. He’s held in a dungeon, in darkness, against all international norms. Gilad Shalit is the son of Aviva and Noam Shalit. He is the grandson of Zvi Shalit, who escaped the Holocaust by coming to the—in the 1930s as a boy to the land of Israel. Gilad Shalit is the son of every Israeli family. Every nation represented here should demand his immediate release. If you want to—if you want to pass a resolution about the Middle East today, that’s the resolution you should pass. The Jewish state of Israel will always protect the rights of all its minorities, including the more than 1 million Arab citizens of Israel. I wish I could say the same thing about a future Palestinian state, for as Palestinian officials made clear the other day—in fact, I think they made it right here in New York—they said the Palestinian state won’t allow any Jews in it. They’ll be Jew-free—Judenrein. That’s ethnic cleansing. There are laws today in Ramallah that make the selling of land to Jews punishable by death. That’s racism. And you know which laws this evokes. Israel has no intention whatsoever to change the democratic character of our state. We just don’t want the Palestinians to try to change the Jewish character of our state. We want to give up—we want them to give up the fantasy of flooding Israel with millions of Palestinians. President Abbas just stood here, and he said that the core of the Israeli-Palestinian conflict is the settlements. Well, that’s odd. Our conflict has been raging for—was raging for nearly half a century before there was a single Israeli settlement in the West Bank. So if what President Abbas is saying was true, then the—I guess that the settlements he’s talking about are Tel Aviv, Haifa, Jaffa, Be’er Sheva. Maybe that’s what he meant the other day when he said that Israel has been occupying Palestinian land for 63 years. He didn’t say from 1967; he said from 1948. I hope somebody will bother to ask him this question because it illustrates a simple truth: The core of the conflict is not the settlements. The settlements are a result of the conflict. The settlements have to be—it’s an issue that has to be addressed and resolved in the course of negotiations. But the core of the conflict has always been and unfortunately remains the refusal of the Palestinians to recognize a Jewish state in any border. In my office in Jerusalem, there’s a—there’s an ancient seal. It’s a signet ring of a Jewish official from the time of the Bible. The seal was found right next to the Western Wall, and it dates back 2,700 years, to the time of King Hezekiah. Now, there’s a name of the Jewish official inscribed on the ring in Hebrew. His name was Netanyahu. That’s my last name. My first name, Benjamin, dates back a thousand years earlier to Benjamin—Binyamin—the son of Jacob, who was also known as Israel. Jacob and his 12 sons roamed these same hills of Judea and Sumeria 4,000 years ago, and there’s been a continuous Jewish presence in the land ever since. Ladies and gentlemen, I continue to hope that President Abbas will be my partner in peace. I’ve worked hard to advance that peace. The day I came into office, I called for direct negotiations without preconditions. President Abbas didn’t respond. I outlined a vision of peace of two states for two peoples. He still didn’t respond. I removed hundreds of roadblocks and checkpoints, to ease freedom of movement in the Palestinian areas; this facilitated a fantastic growth in the Palestinian economy. But again—no response. I took the unprecedented step of freezing new buildings in the settlements for 10 months. No prime minister did that before, ever. Once again—you applaud, but there was no response. No response. And I suggest we talk openly and honestly. Let’s listen to one another. Let’s do as we say in the Middle East: Let’s talk “doogli”(ph). That means straightforward. I’ll tell you my needs and concerns. You’ll tell me yours. And with God’s help, we’ll find the common ground of peace. There’s an old Arab saying that you cannot applaud with one hand. Well, the same is true of peace. I cannot make peace alone. I cannot make peace without you. President Abbas, I extend my hand—the hand of Israel—in peace. I hope that you will grasp that hand. We are both the sons of Abraham. My people call him Avraham. Your people call him Ibrahim. We share the same patriarch. We dwell in the same land. Our destinies are intertwined. Let us realize the vision of Isaiah—(speaks in Hebrew)—“The people who walk in darkness will see a great light.” Let that light be the light of peace.